State inspectors found rodent activity at two different restaurants in Boynton Beach. BOYNTON BEACH, Fla. — The week of Christmas was a busy time for dirty dining. 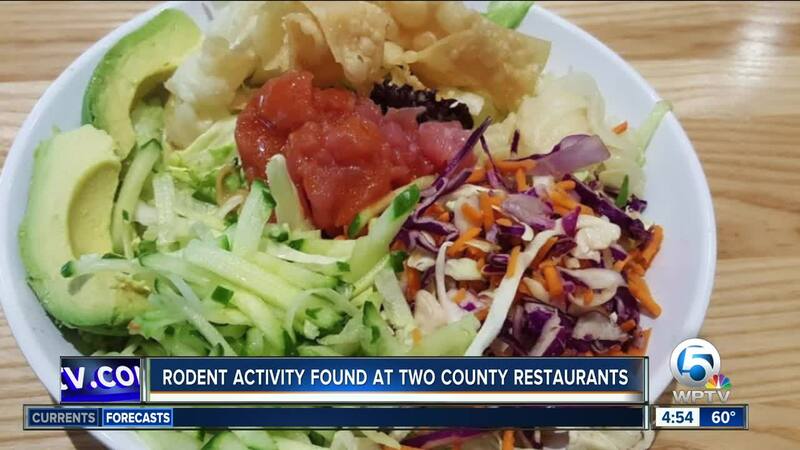 State inspectors found rodent activity at two different restaurants in Palm Beach County. State inspectors found 52 dry and fresh rodent droppings inside Pei Wei fresh kitchen on North Congress Avenue in Boynton Beach. There was also no proof of required employee training. Porto Bella on South Military in west Boynton Beach was found operating with an expired license. Inspectors found almost 80 fresh and dry rodent droppings inside the restaurant. Both restaurants have since re-opened.